Home is where we can be silent and still be heard. Where you can ask and find out who you are. Where people can laugh with you about yourself. Where sorrow is divided and joy multiplied. Where we share and love and grow. 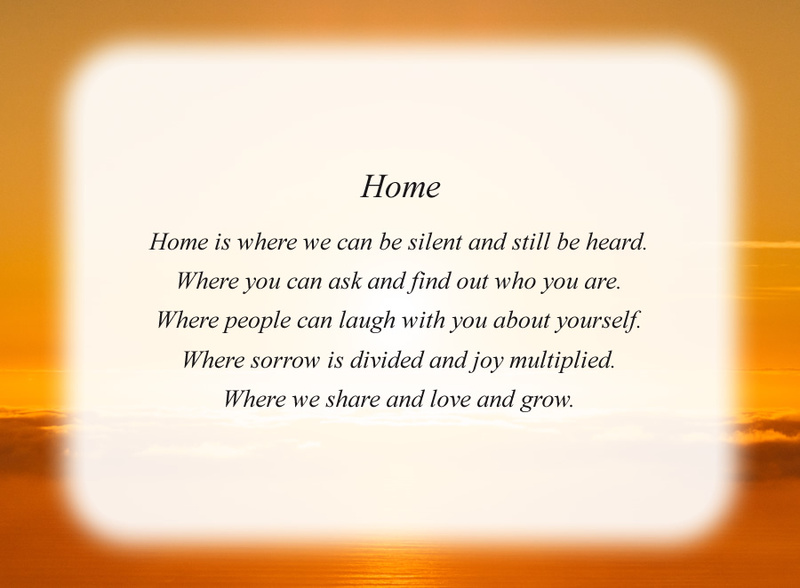 The poem, Home, is free and printable by opening or downloading using one of the three links below.